A modest collection compared to my old hoard, but my kids are a fine investment in the interim. Nice, phantoms. I love the blue yellow acid wash. I have no idea how comfortable that red one is, but now I kinda want to try it. your collection is looking great! thanks fellas. 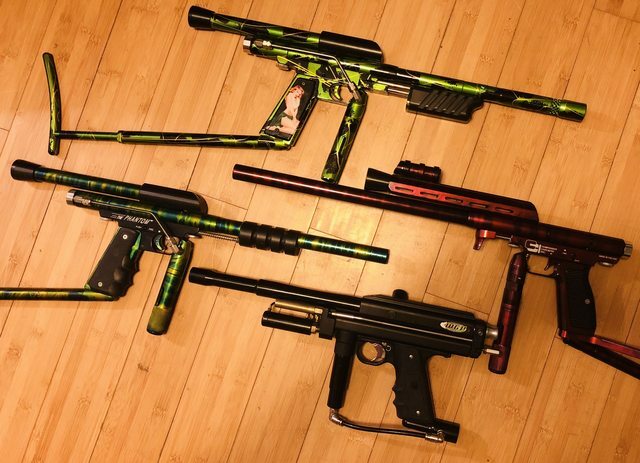 One of these days I’m hoping to complete the cci collection with a duckslide and double barrel, be it a gearheadz or peacemaker. It’s super comfy. But without the pump handle to act as a guide, you have to practice your finger work to get the stroke down. If you apply too much downward pressure on the paddle it will bind. So, ahem...up and in, is the way to go. Sweet Collection hope to see you at Slims!